July was a weird month, I feel like I haven't done much but looking back me and Liam have done a fair bit together whether it has been getting jobs done in the house or having a few trips out. I even went to see Navi again and got to go see Bradford City in a preseason friendly, which I won't even get started on. it has also been far too warm here in the UK but luckily it is cooling down a little now. So here are some things I have been loving throughout July. Beauty wise July has been a month where I didn't try many new items, however I did fall back in love with some of my old favourites. 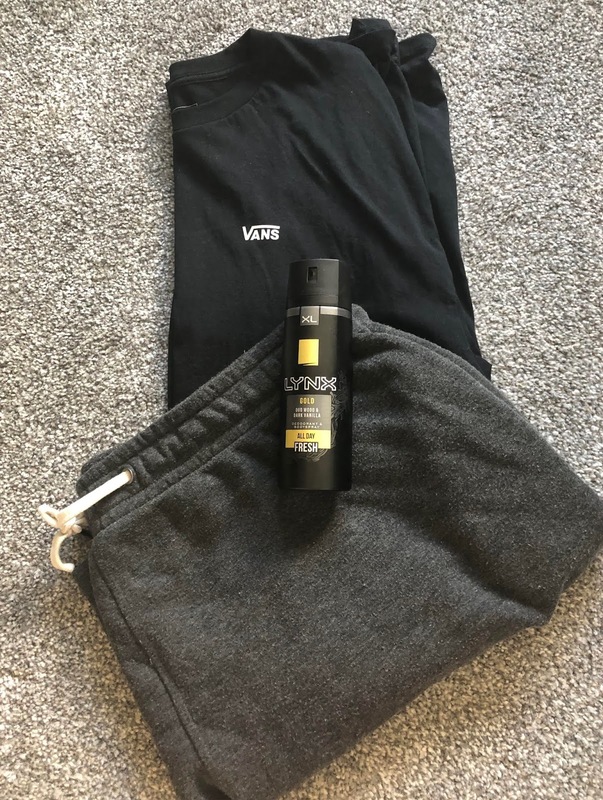 I am totally in love with Lynx Gold once again I have been using it everyday in the deodorant, body spray and even the shower gel. It has been perfect especially with the warm weather as the scent can last all day. My only other beauty favourite is the Superdrug charcoal toothpaste, I am actually noticing a difference with my teeth which is something I am really trying to work on. With it being so warm I have been wearing plenty of different outfits and actually got my leg out in shorts for a change. I have been in love with my grey shorts from Primark, these were only £4 and are so comfortable. They go perfect with most of my wardrobe too and look so simple. I have been teaming these up with my favourite new vans t-shirt, they say that black is no good in this weather however I have had no issues with this t-shirt and it's nice and loose fitting without being way too big. I have been teaming these up with my Nike SB trainers which have been worn nearly everyday throughout July, whether I have been wearing shorts or jeans these trainers have been perfect. It only came out on Friday 27th July but Orange is the new black season 6 is already on my favourites at the time of writing this it has been 3 days since it came out and I have already nearly completed it, I am going to need to find a new series soon. In terms of music I have been loving the new Drake album which I really am surprised about as I went off him for a while. My final lifestyle favourite is the fact that the living room is actually almost nearly done, we just have a few pictures to hang, a bit of boxing in to be done and a shelf to put up. It is really starting to feel really homely. So those are my favourites from July 2018, what are some of your favourites from this month?